If you read this declaration from “The Clear and Complete Guide to Leadership Development” as a challenge or if it prompted reflection, you might be ready to unbox your student leadership development program. It’s easy for our programs to get stale. Once created, we celebrate, add it to our department’s list of offerings and get it out in front of students, then move on to other projects that need our attention. It’s important, however, to find a fresh take. These programs ensure not only that students learn skills that are helpful for their own leadership development, but that they become capable of inspiring leadership development in others and in guiding their student organizations toward success. Does your leadership development program help student leaders feel capable of fostering leadership in others? Examining this can help you “unbox” your program and take it to the next level. Leadership development programs also help prepare students for a workforce that is starving for leaders but perhaps missing the mark on developing them. Research shows that while many organizations recognize the importance of leadership development, 42% of chief experience officers aren’t making this a priority. We see this in our student organizations as well, which is no surprise since they are a microcosm of the world at large. It’s time to shake things up. Here are five ways to unbox your leadership development program that are sure to breathe new life into your current program. If you want to think outside the box, start learning. Find the latest reads on leadership development. What’s trending on Twitter? What new books or articles are must-reads? Ask colleagues or your social media contacts for recommendations. The Leadership Challenge by James M. Kouzes and Barry Z. Posner offers an intriguing framework for leadership to consider. If you’re looking for what’s new on the horizon, these pieces from Inc., Forbes, and the Graziadio Business Review illuminate emerging trends in leadership. Gamification, co-curricular learning, self-directed learning, and experiential education are just a few trends outlined by Goddard College president Bernard Bull. Community activist Avery Taylor Phillips boils down curriculum trends to real skills, personalized curriculums, and digital integration. Additionally, EdSurge and HigherEd are two great resources to further your learning. Research like this may inspire you or get you thinking in a new direction and help you customize a program. You probably know that it’s important to customize leadership development, but do you know how? In the Harvard Business Review, Associate Professor of Organisational Behaviour at INSEAD Gianpiero Petriglieri breaks down two practices to get you started: Contextualization of the learning process and personalization. He suggests conceptualizing your group in a new way by tailoring your program to different leadership levels, from emerging to experienced student leaders. You should also examine the difference between learning and development in order to establish a balance for your leadership program. Learning could be related to new knowledge, skills, and perceptions you want students to gain, whereas development should involve activities that are ongoing and focused on improving students’ competencies over time. If your program is a one-time presentation on leadership, for example, it will probably make more sense to focus on learning — although you can suggest ways for students to keep developing their skills after the program is over. However, if your program is a semester-long effort, you may want to focus on development. It’s hard to re-envision a program without an outside perspective. So, you should seek external feedback and consultation from the start. Consider requesting input from peer colleagues — not just from co-workers in your department or office, but also from colleagues in other departments across your institution. Perhaps your counterparts at other institutions can also provide you with new ideas on how to unbox your program. How can this program better align with the mission of our department or division? What are three things this program does well? What are three areas I can improve? What learning outcomes would you suggest? What would be the most helpful or useful for you from a program like this? How would you explain this program to your friends? Would they want to attend? What’s your advice on how to make the program better? This is also an excellent opportunity to collaborate with faculty since some might be experts on leadership. Not sure what collaborating with faculty could involve? Here are some tips. 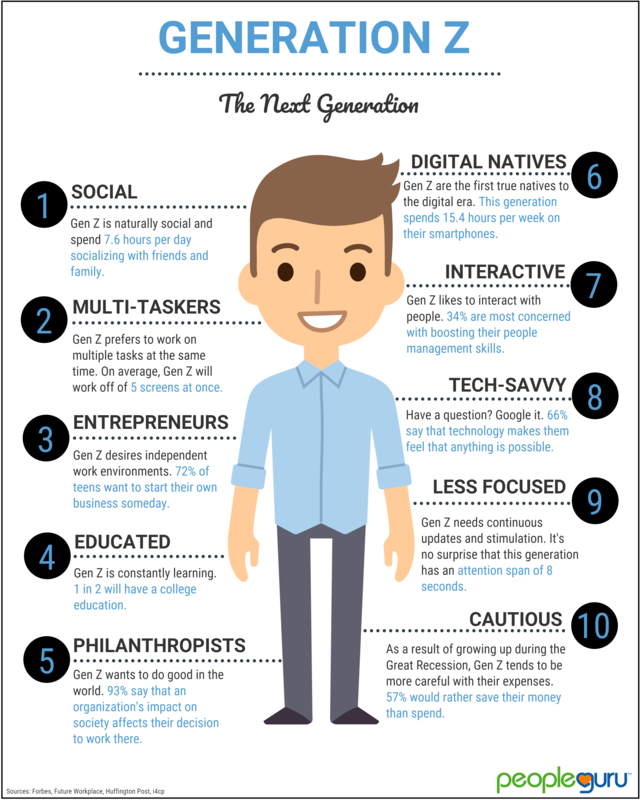 What matters to Generation Z? Researcher Corey Seemiller recommends framing concepts around what students of this generation value — relationships, advocacy, diversity, and making a difference — and tailoring the material to an audience that has grown up with personalized experiences like Chipotle and Netflix. The more you can demonstrate that you know your audience, the more impact your program can have. Helping students create a personal improvement plan is one great way to do this. Check out this guide for ideas students can use to design their own ongoing leadership development. It’s also important to demonstrate how your material directly prepares students to be successful professionals, especially since Gen Z students tend to be more career-focused than earlier generations. You could also engage in strategic conversations about “leadership for what,” in order to transition concepts from theories and ideas into practical applications. This might involve facilitating a discussion with students about the purpose that leadership can serve in their careers and in their life legacies. This provides students a chance to pause from their busy lives and reflect on the bigger picture. Lastly, you’ll also want to include a mixed media approach — with videos, articles, songs, and other types of media — to make your program engaging. Exploring or redefining learning outcomes and strengthening assessment will not only elevate the quality of your program but will also force you to examine it on a deeper level. You should carefully outline skills and define competencies, as this combined effort creates more clear and concrete pathways for students. These 31 core competencies are a good place to start brainstorming which competencies best fit your program’s goals and learning outcomes. Look at ways to assess leadership proficiency of students in your program and you’ll win Generation Z over with a personalized approach. Small group discussions and activities are great, but if you are aiming to be more robust, don’t forget to bolster the program with substantive content that connects leadership to real-life applications. Curious about what a robust leadership development program looks like that blends academic and student support? Check out Christopher Newport University’s Presidential Leadership Program. It combines experiential learning, leadership development, student success, and leadership studies to provide students a well-rounded experience. Plus, the Summer Leadership Adventure is a fun way for students to kick off the program. A different vantage point can make an enormous difference. Beyond reviewing your program as a whole, try isolating sections and working on them as stand-alone pieces to identify necessary changes. This approach allows you to focus on content and not be distracted by the flow of the program, or other components like transitions or graphics. You can also refresh your perspective by considering different learning outcomes. For example, your primary focus might be on leadership development, but could there be value in looking at your program through a social justice, wellness, diversity, or mental health lens? Or consider viewing your programs through the eyes of different types of students. For example, you might explore whether your program has a bias towards extroverts and is excluding introverted student leaders. Light it Up: Engaging the Introverted Student Leader by Amma Marfo can help you unbox your program in this way. Consultation with colleagues is key here, and creating unexpected connections is a meaningful way to encourage students to rethink their own leadership development. Craving more ideas on how to unbox your leadership development program? Check out this guide or these five tips to get you brainstorming. Have you unboxed your leadership development program recently? Have any advice or insights to share with us? Let us know on Twitter @HelloPresence and @PriyaThomas757.